This outstanding example of a 2013 Hyundai Sonata GLS PZEV is offered by Direct Auto of Tennessee. This 2013 Hyundai Sonata comes with a CARFAX Buyback Guarantee, which means you can buy with certainty. This vehicle was engineered to be both economically and environmentally friendly with exceptional fuel efficiency. You can tell this 2013 Hyundai Sonata has been pampered by the fact that it has less than 73,066mi and appears with a showroom shine. 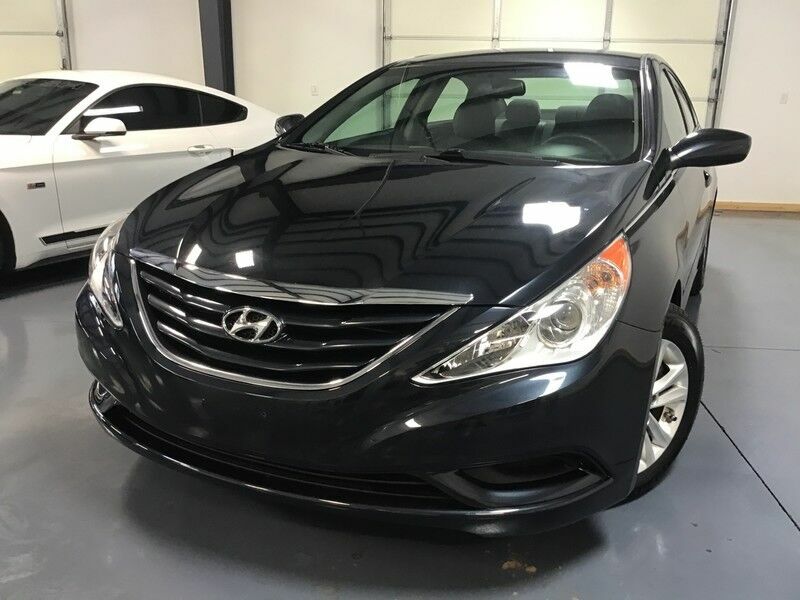 If not for a few miles on the odometer you would be hard-pressed to know this 2013 Hyundai Sonata is a pre-owned vehicle. The paint and body on this Hyundai Sonata GLS PZEV looks as fresh as the day it rolled off the assembly line. More information about the 2013 Hyundai Sonata: Hyundai has put longtime mid-size best-sellers, including the Honda Accord and Toyota Camry, directly into its sites with the Sonata. Hyundai meets or exceeds those models in most respects. With EPA fuel economy ratings of up to 24 mpg city, 35 highway, thanks to a direct-injection 4-cylinder engine, the Sonata has fuel-efficiency and power performance numbers that are both better than most base-model mid-size sedans. The Sonata Hybrid promises strong fuel efficiency. The Sonata is classified by the EPA as a "large car," and has more passenger room than most of its competitors, while it has significantly more trunk space than the Toyota Camry, Nissan Altima, Ford Fusion and Chevrolet Malibu. The Sonata is also lighter than many cars in its class and has a short 35.8-foot turning diameter that's also shorter than most other mid-size sedans. The Sonata also has a trump card in safety, as it's a Top Safety Pick by the IIHS. Warranty continues to be a strong selling point for the Sonata. Like with all Hyundai products; the Sonata includes a 5-year/60,000-mile fully transferable bumper-to-bumper warranty, 10-year/100,000-mile powertrain warranty and five years of roadside go cheassistance. This model sets itself apart with high-tech communications and entertainment features, radically different styling inside and out, roomy interior, excellent ride quality, trunk space, and Strong, fuel-efficient engine While we try to make sure that all prices posted here are accurate at all times, we cannot be responsible for typographical and other errors that may appear on the site. If the posted price for a vehicle or service is incorrect due to typographical or other error (e.g., data transmission), this dealership or [website provider] is only responsible for the correct price, which we will endeavor to provide to you as soon as we become aware of the error. We make every effort to provide you the most accurate, up-to-the-minute information, however it is your responsibility to verify with the Dealer that all details listed are accurate. Vehicle images and descriptions posted on our website pages are the representations provided by our suppliers. Please note that actual vehicle may differ slightly from specifications and/or the pictures. The dealership is not responsible for typographical, pricing, product information, advertising or shipping errors. Advertised prices and available quantities are subject to change without notice. In the event a vehicle is listed at an incorrect price due to typographical, photographic, or technical error or error in pricing information received from our suppliers, the dealership shall have the right to refuse or cancel any orders placed for vehicle listed at the incorrect price. Prices shown do not include state, city, and county tax, license, registration or tag fees and the cost of optional equipment selected by the purchaser. A $250.00 dealer documentation fee will also be added. Out of state buyers are responsible for all state, county, city taxes and fees, as well as title, licensing and registration fees in the state that the vehicle will be registered. All prices and offers include all incentives which the dealer retains unless otherwise specifically provided. Dealer not responsible for errors and omissions; all offers subject to change without notice, please confirm listings with dealer.